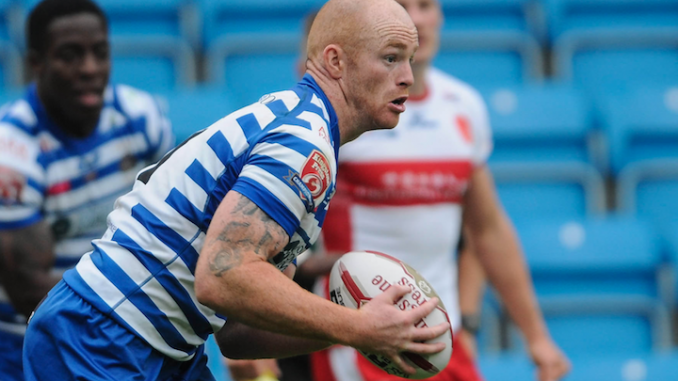 Halifax have confirmed that Shane Grady has signed a new one-year deal with the club. Grady has been an essential part of Richard Marshall’s side since joining from Dewsbury Rams in 2017. The 28-year-old has racked up 25 appearances last season, with eight tries and 10 goals during that time. On his new deal, Grady commented: “We had a really good year last season, even though the Qualifiers didn’t go the way that we would have liked it to. “We’ve got a good group of lads here and to pull through and make the top four shows the character that we’ve got. To stay for another year, I’m made up. Halifax coach Richard Marshall added: “There was a lot of interest in Shane and we’ve done really well to keep hold of him as he could have gone elsewhere, but he wanted to stay at Halifax. “He’s been a really good signing for us at Halifax since he came in from Dewsbury. He’s about his business really well, he’s aggressive.